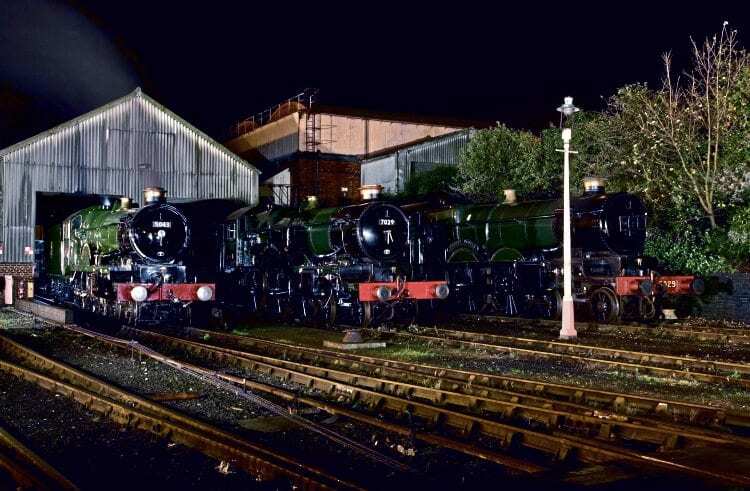 For the past 50 years Tyseley has been a key player in the continued operation of main line steam in the UK, as well as one of the premier engineering centres serving the heritage sector. Gary Boyd-Hope examines the proposals that will safeguard Tyseley’s future as part of Birmingham’s cultural heritage, and talks to Michael Whitehouse about why they are necessary, and how they will be achieved. DID you know that in 2015 a staggering 37.2million tourists flocked to Birmingham in order to enjoy its ever-growing retail and cultural offerings and use the city as a base to visit Shakespeare’s Stratford and the Cotswolds? In doing so they earned the ‘Second City’ the mantle of ‘the UK’s fastest-growing regional tourist destination’, and that was before the revamped New Street station and associated Grand Central shopping centre opened. Birmingham may not instantly call forth images of a cultural destination, but you’d be surprised what boasts the city can lay claim to. For instance, its famous Hippodrome theatre is the busiest in the UK with more than 520,000 visitors attending performances every year. Birmingham also has more Michelin-starred restaurants than any other UK city outside London. Its Symphony Orchestra and Art Gallery are also world-renowned. It is well-known that Birmingham has more miles of canals (almost 35 in total) than Venice and that it is the home to Cadbury’s chocolate, but are you aware that Bird’s custard, Typhoo tea and HP Sauce also hailed from the city? The first X-ray was taken in Birmingham in 1896; gas lighting was invented there by William Murdock; it has more parks than any other city in Europe; lawn tennis was invented there; and it is where the FA Cup was manufactured. Birmingham was famously home to Matthew Boulton and James Watt’s Soho Foundry, where Watt’s improvements to the steam engine were put into hugely successful practice; technology that would later have a major impact on the railways. This led to the city becoming the greatest manufacturing centre the world has ever known. inter-city railway. Not wishing to take anything away from the Liverpool & Manchester Railway, but the 112-mile London & Birmingham Railway of 1838 made the L&M’s 35 miles look rather like a branch line. The now-lost Imperial Hotel in the city saw the birth of the railway preservation movement in 1950 with the formation of the Talyllyn Railway Preservation Society, and – quite importantly – Birmingham is home to the last functional ‘Top Shed’ in the UK still doing the job it was built for – Tyseley! The story of the present-day Tyseley Locomotive Works operation goes back more than half a century to the acquisition of Collett ‘Castle’ No. 7029 Clun Castle by Dart Valley Railway (DVR) directors Patrick Whitehouse and John Evans, together with the appeal fund, back in 1966. 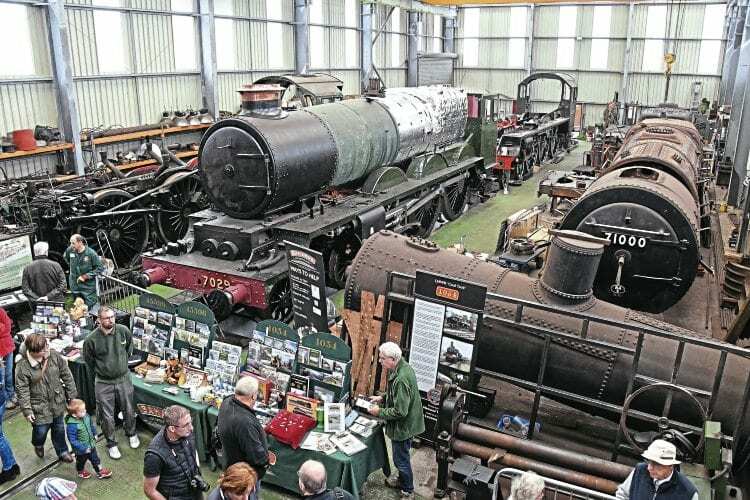 It was thought at the time that the record-breaking 4-6-0, which had smashed City of Truro’s famous point-to-point record between Plymouth and Bristol on May 9, 1964, could form the centrepiece of the DVR’s new museum at Buckfastleigh, but until that facility was ready Pat Whitehouse found a ‘temporary’ home for it at the then still-functioning ex-GWR Tyseley shed (84E). It was the start of an association between ‘Clun’, Tyseley and the Whitehouse family that remains to this day. No sooner had Pat taken Clun Castle to Tyseley than a group of interested railwaymen appeared to help care for the loco. A new company, 7029 Clun Castle Ltd, was created in July 1967 as owner of the loco, while the Standard Gauge Steam Trust was formed to act as its charitable custodians. Thoughts soon turned to the possibility of making Tyseley the ‘Castle’s’ permanent home, and in 1968 a lease was taken out on the old Tyseley coaling stage. The arrival of Stanier ‘Jubilee’ No. 45593 Kolhapur that year was followed by further acquisitions by 7029 Clun Castle Ltd, to the point where the lease had to be extended and a new purpose-built shed/workshop erected to house what had become known as the Tyseley Collection. Almost overnight Tyseley became one of the top destinations in the early days of main line steam, and as a reflection of its growing status the SGST changed its name to the Birmingham Railway Museum (BRM). Tyseley engines were by now a fixture of the main line scene and throughout the 1970s, after the lifting of the main line steam ban, the BRM operated a number of special trains branded as the ‘Shakespeare Express’ over the North Warwickshire Line between Snow Hill and Stratford-upon-Avon. However, the dream of working it as a regular service would have to wait another 20 years; British Rail was not in favour of such a short-haul service. The 1990s would see a major step change in the way Tyseley operated. The enviable reliability of the working fleet (Clun Castle, Defiant and Kolhapur) had earned Tyseley a good reputation, and over time the workshops began taking on contract repair and overhaul work in parallel with the fleet maintenance. It was decided that this would form a central pillar of the Tyseley set-up and in 1994 the Tyseley Locomotive Works (TLW) was formed and led by Bob Meanley. Unfortunately, it was not feasible to have the general public wandering around a busy railway engineering facility, and the Birmingham Railway Museum closed its doors. A major milestone occurred during the summer of 1999 when, thanks to arrival of Privatisation, allowing open access operations, Tyseley fulfilled its dream of running a regular ‘Shakespeare Express’ service under its new Vintage Trains (VT) charitable umbrella. VT had taken over much of what the BRM had been responsible for, but focused primarily on main line charter operation and promotion as another core pillar to Tyseley. Since 2003 the ‘Shakespeares’ have been operated for VT by the West Coast Railway Company, which initially provided the rolling stock until Tyseley acquired its now-familiar Pullmans and Mk2 stock from HSBC Rail. That first ‘Shakespeare Express’ of 1999 was worked by Collett ‘Hall’ No. 4965 Rood Ashton Hall, which first joined the Tyseley Collection in 1970 as No. 4983 Albert Hall. The restoration had begun in earnest in 1995, when Swindon’s 1962 subterfuge was uncovered and the loco’s true identity restored. This restoration was Alastair Meanley’s introduction to the main line. However, it was the decade-long restoration of ‘Castle’ No. 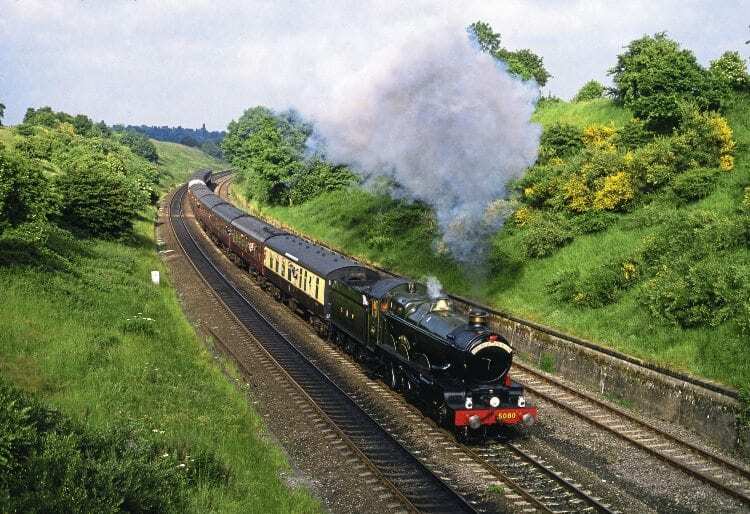 5043 Earl of Mount Edgcumbe from ex-Barry condition that showed the world what TLW was capable of. In fact the ‘Castle’ is just one of many high-profile projects that have been completed in the works, including the restoration of Kinlet Hall, the building of the frames for ‘A1’ Tornado, and the streamlining of Duchess of Hamilton for the National Railway Museum. As a consequence the TLW order book is full and being added to all of the time. In 2013 an extension to the works was completed with the addition of a purpose-built erecting shop, which at the time of writing is home to No. 71000 Duke of Gloucester and ‘Jubilee’ No. 45596 Bahamas. Given the success of TLW and the popularity of Vintage Trains’ excursions, including the ‘Shakespeare Express’, you might think that the 7029 Clun Castle Ltd trustees could sit back and enjoy the fruits of their labours. Not a bit of it! In fact the Tyseley operation is about to undergo its greatest evolution yet, further securing its place as a centre of engineering excellence, as a main line operator and as an educator at the heart of Birmingham’s expanding cultural heart. “Because you can’t stand still,” says trust chairman Michael Whitehouse. Suggestions that Tyseley would undergo some sort of operational expansion have been mooted for some time. 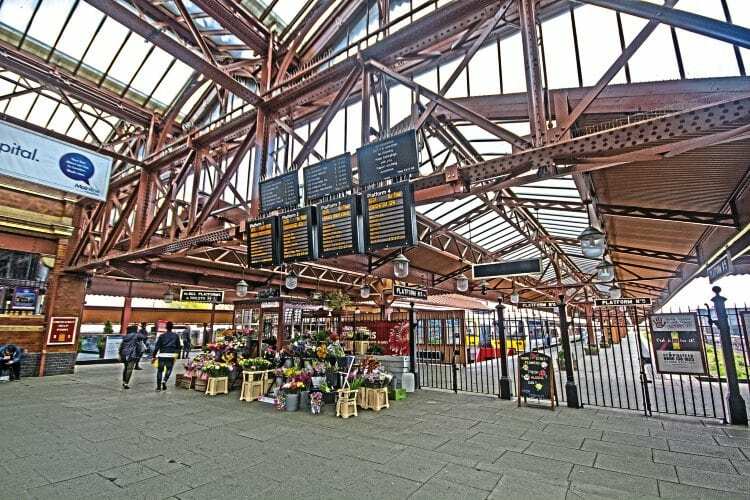 For example there was a proposal that the redundant platform 5 at Birmingham’s restored GWR Moor Street station would be connected for use as an excursion platform for VT use; a suggestion supported by Birmingham City Council. Similarly, there was also talk of a VT depot being created at Stratford-upon-Avon. However, around two years ago Michael and the trustees began to seriously consider Tyseley’s position in an ever-changing market, and whether the current arrangements would suffice for continued longevity in the 21st century. The railways were changing, Birmingham was changing, and it was felt that Tyseley could potentially be left behind if it did not react. “Things were happening on the network, in terms of capacity, franchises and the railtour market, and if we didn’t do anything about it we would be squeezed off it,” explains Michael. “The entire movement is at a tipping point. People are getting older and steam is becoming increasingly less relevant, and consequently there is less first-hand knowledge out there. There are younger people getting involved and carving roles for themselves, but the industry is largely reliant on the older generation. “Customers are also getting more demanding in the sense that a simple day out behind a steam locomotive is no longer enough. Dining, catering and interesting destinations have become drivers for the railtour market, to the point where we (Vintage Trains) have reduced the number of standard class coaches on our trains from four to one. Yet the objective of running high-quality steam express trains on the main line remained, and the Tyseley trustees were looking at a simple choice. It was an easy decision to make, and the trustees subsequently divided into three teams to investigate how best to secure Tyseley’s future. Bob Meanley would continue to concentrate on the TLW side of the operation and ensure its continued growth, while Adrian Shooter would look at the long-term agenda for continued main line running. Michael, meanwhile, would engage with all local stakeholders (Birmingham City Council (BCC), University of Birmingham, Bournville College, Network Rail, the DfT, the Office of Rail & Road, the local community and others) to find out what they wanted from Tyseley. Sir Albert Bore, the then leader of BCC, stressed the importance of Tyseley’s engineering arm to the local economy and reiterated the council’s desire to see regular steam-hauled services to Stratford beyond the current ‘Shakespeare Express’ operation and, crucially, starting from the city centre so as to help attract tourist spend in the city. This has long been the aspiration of the council; Cllr Bore being its leader at the time of the £11million refurbishment of Moor Street station in 1930s-style back in 2002 and a supporter of Tyseley in BRM days when job creation was all important in the 1980s. The new vision for Tyseley was taking shape, but one of the biggest keystones in shaping it came as a result of Adrian Shooter’s investigations. 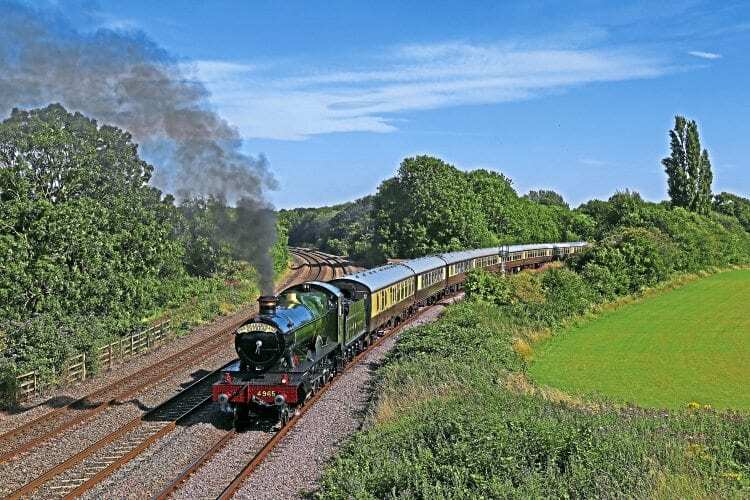 Firstly, he suggested that Vintage Trains narrowed its net somewhat, and instead of running excursions far and wide it focus on fewer destinations such as York and Oxford, but visit them more frequently. This was tried in 2015 and there was no fall off in custom, effectively proving that the typical ‘railtourer’ has indeed evolved. However, Mr Shooter’s most significant and defining suggestion was for Tyseley to apply for its own passenger operating licence. “There are really six essentials needed if you want to be a self-contained main line operator: engines, coaches, a depot, repair facilities, a promoter and a licence,” Michael explained. “We already have the first five of those, and Adrian argued that if we were to go down the route of regular steam out of Birmingham, we would need our own licence simply to get a seat at the table. “This all took place well before the West Coast suspension of 2016, although since we announced the intention people have suggested that we are applying as a result of it. 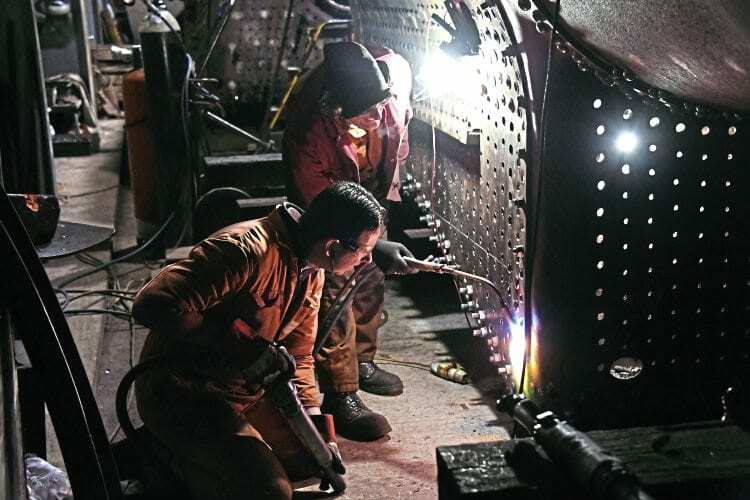 The general consensus received throughout the process of developing the new business plan was that main line steam should continue, while safeguarding the engineering skills necessary to achieve that. These thus formed the building blocks for the plan. The basis of the new masterplan for Tyseley is the creation of a main line heritage railway operation that is open to all, which inspires the next generation to innovate while encouraging greater public participation. At its heart lies the centre of engineering and operational excellence at Tyseley. 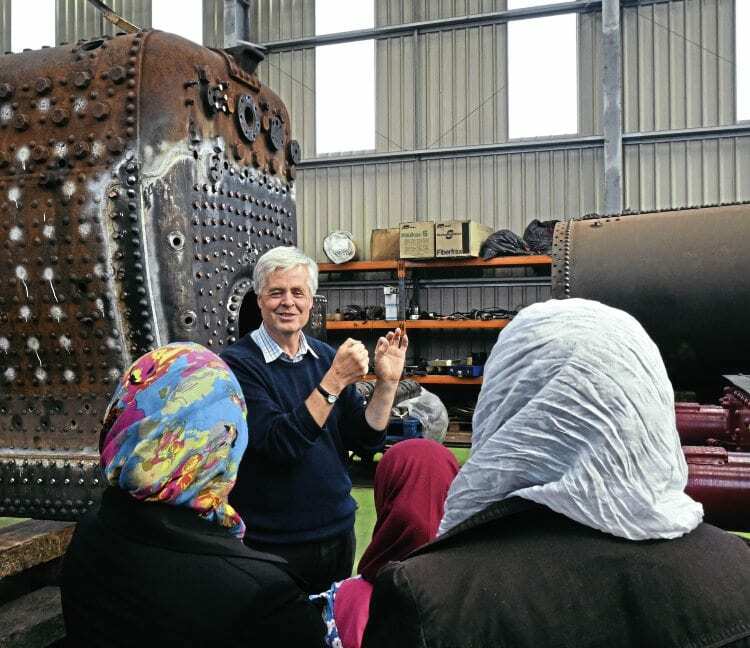 The business plan revolves around core values that safeguard and provide a purpose for Tyseley’s unique collection and heritage, and in doing so continues the development of skills in engineering and other facets of railways while delivering a high-quality programme of events. Where possible due respect will be shown for historical precedents, but this is the 21st century and full consideration must be given to modern operational requirements. As a charitable public foundation available to all, including key stakeholders, the trust plans that its operation will enable the Tyseley outfit to deliver a high standard of excellence in engineering, operation, safety and customer service on a financially sustainable basis. 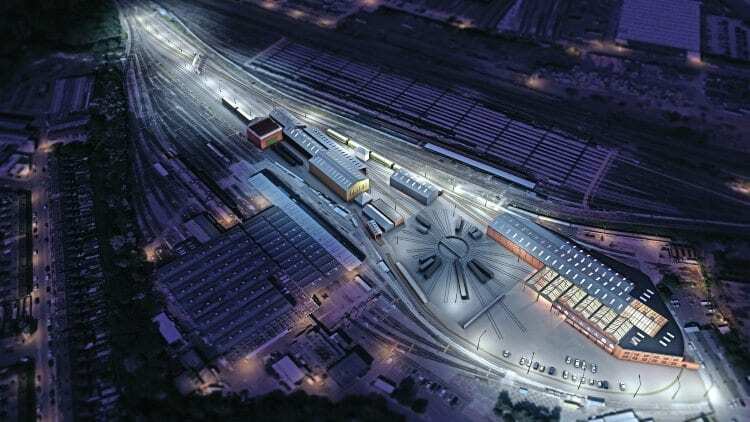 Although the workshop side and the steam operation are intrinsically linked, the two aspects will develop individually, so first let us look at the plans for the actual Tyseley site. One of the drivers behind the plans for Tyseley itself is the retention and promotion of heritage knowledge and skills. While many born in the post-steam era have found careers in the industry, either through apprenticeships or other means, the fact remains that there is now only a handful of people left with genuine first-hand knowledge of steam railway engineering and operation. Specialist engineering has been instrumental to Birmingham’s economy for centuries. The city’s relatively inaccessible location (it having no major river) resulted in a wealth of smaller industries that concentrated on the production of small, high-value metal items, including guns and jewellery. However, the coming of the canals and later the railways saw Birmingham become the fastest-growing city of the 19th century, spurred on by – among other things – a steady influx of migrant workers into its suburbs, so that by the 20th century Birmingham had become the hub of the UK’s manufacturing and automotive industries. The role of migrants in Birmingham’s development is something that Tyseley is keen to embrace, particularly given the depot’s location in an area with a high ethnic diversity (almost a third of Birmingham’s residents are of minority ethnic origin). Already a number of productive meetings have taken place with representatives of the local ethnic community, who have embraced the vision and been proactive in relating their stories of how the railways played a role in their families settling in Britain; much more consultation remains to be done. A major focus of the engineering business at 84E will be the creation of a new dedicated carriage repair facility, enabling TLW to diversify into this area. The famous Birmingham name of the Metropolitan Railway Carriage & Wagon Company has already been acquired for this venture, under which this side of the business will trade. Where this will be situated is still a matter for discussion, but one possibility will be to use part of Warwick Road station, thereby also providing covered accommodation for some of the VT carriage fleet. An application for funding has been submitted to the European Regional Development Fund to help cover the cost of building the new workshop. Hand in hand with the site developments at Warwick Road comes the plan to run regular ‘Jacobite-esque’ steam services from central Birmingham to Stratford, and destinations further afield. Thanks to new air routes to such places as China, Dubai and New York, the city as we have already seen has become an essential stop on the tourist trail, which could further increase if the proposed High Speed 2 terminus at Curzon Street is built. HS2 has already established its headquarters at Snow Hill in the city, highlighting Birmingham’s importance to the new north-south rail link. Tyseley therefore fully intends to collaborate with HS2 to offer a cultural experience for those arriving in the city via the line. 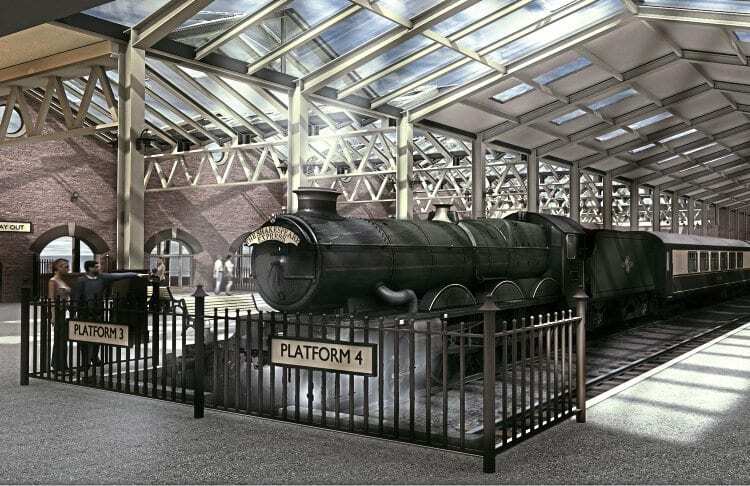 After all, Moor Street station is only around 250 yards from the proposed Curzon Street station, which would potentially enable visitors to arrive on a high-speed train, walk the short distance to Moor Street and board a steam-hauled excursion to the birthplace of the Bard. Important to the ultimate success of this will be the licence application, and Tyseley is also looking to capitalise upon its unique selling point to further develop the operation – its three ‘Castle’ class 4-6-0s. GWR-built double-chimney No. 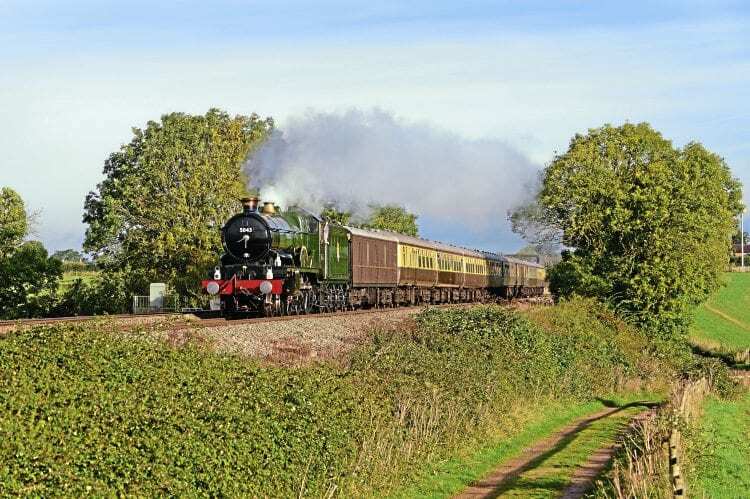 5043 Earl of Mount Edgcumbe is already a stalwart of the Vintage Trains business, while BR-built Clun Castle is set to make its main line return this year upon the completion of its overhaul. Yet it is the third ‘Castle’ – No. 5080 Defiant – that offers the most interesting possibilities. Tyseley is giving you the opportunity to be a part of Defiant’s future by becoming a shareholder in the locomotive; a chance to actually own a piece of a Great Western icon. 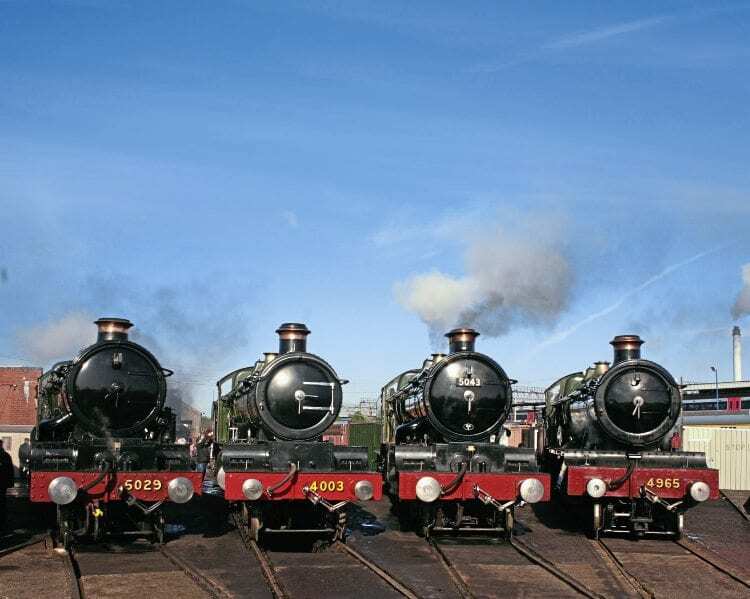 Returning the single-chimney loco to working order after a 20-year ‘rest’ is expected to cost in the region of £1million, so Tyseley is looking for 1,000 people (or groups of up to 10 individuals) to join its ‘Defiant Castle Club’ by donating £1,001 towards the 4-6-0’s overhaul. To date £70,000 has already been donated in the four months since the appeal was launched, and Defiant is expected to return to Tyseley from the Buckinghamshire Railway Centre during the spring. The three ‘Castles’ will form the backbone of the expanded VT operation, so that even when one is in for overhaul it will always be possible to put a ‘Castle’ on the front of a train. Fleet locos such as No. 4965 and the panniers (Nos. 9600 and L94) will still play a vital role in Tyseley’s future, but it does mean that those waiting for the return of Kolhapur will have to remain patient a while longer. Copper-capped chimneys and burnished brass may provide a signature look to a Vintage Trains excursion, but the rolling stock is arguably of a greater importance. VT’s chocolate & cream rake of Mk2s and Pullmans has served the company well, but a full upgrade will be required to make it fit for purpose for the expanded train service. It is expected to cost around £2m to overhaul the entire train (about £100,000 for each carriage), and therefore a grant application to the Heritage Lottery Fund will be submitted, having a strong educational element and restoring public access to Tyseley, not seen since BRM days. A key part of this aspect of the masterplan is to create a new environment at Tyseley to encourage people to participate in VT’s future and gain satisfaction from their contribution. VT has established a team to develop these proposals under Michael’s leadership and with the assistance of Helen Ashby, formerly of the National Railway Museum; architect Robin Coombes; Mark Gaskell, an expert in grants; business manager Ben Mason; and treasurer Jim Kirkman. The story of the Moor Street to Stratford corridor is interwoven with that of the growth of south Birmingham, and what better place to appreciate and understand the impact of the railway than from the window of a steam-hauled express? There is no doubt that this new vision and masterplan is bold and ambitious, yet at the same time wholly achievable. Time and again Tyseley has achieved what others thought couldn’t be done, and this is just the next stage in 84E’s evolution. As with all major projects it is entirely down to people and funding whether any or all of the vision can be realised, but as the key stakeholders have all expressed their support in writing, the funding bodies can only sit up and take note. Even London Midland has kindly volunteered timetable changes on a Sunday morning to prevent the ‘Shakespeare Express’ from getting held up. That’s commitment! The commercial aspects of the various ‘arms’ of Tyseley (VT and TLW) will continue to cover the day-to-day operating costs, but the improvements to the facilities, train upgrade and continued restoration of the heritage assets will need to come via grant aid or private investment. This feature provides an outline of the new Tyseley masterplan, but this month there will be an opportunity for you to hear about the vision direct from Michael Whitehouse and the trustees in more detail. Following the presentation there will be a visit to Tyseley Locomotive Works, with the event wrapping up at 17.00. Free parking will be available at Tyseley Locomotive Works, 670 Warwick Road.